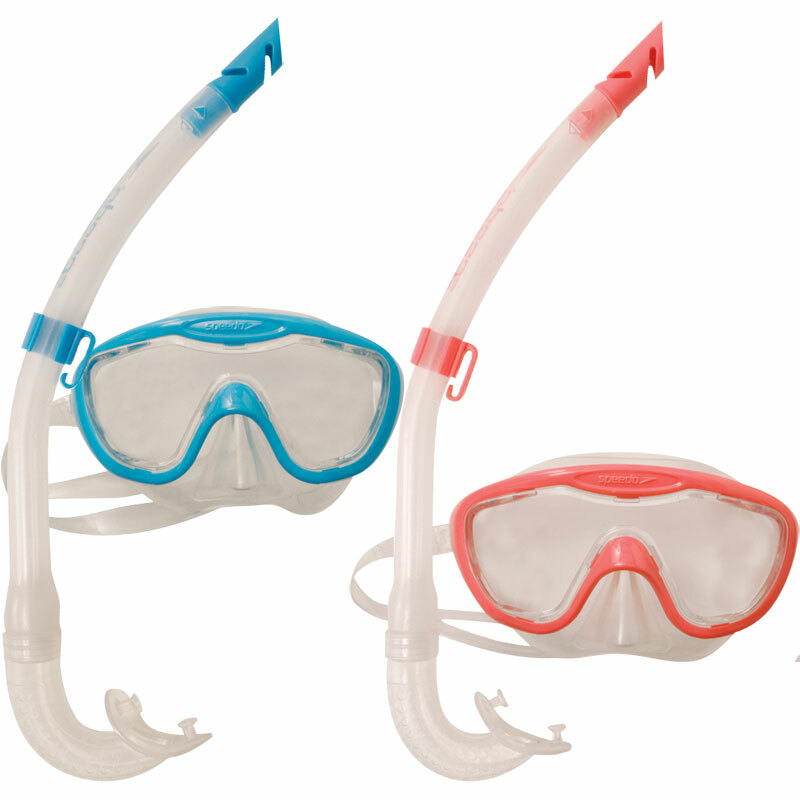 This new Speedo ® Junior Glide Snorkel and Mask set is ideal for use on holiday, the great quality materials ensure reliability, so you can enjoy your underwater adventures for as long as you want to. 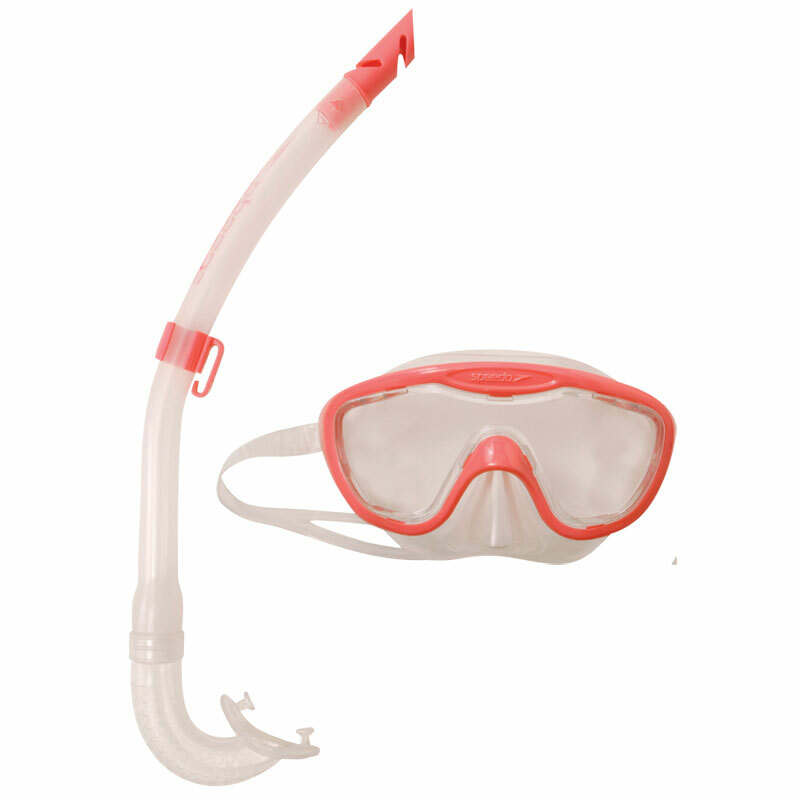 Polycarbonate mask has an adjustable lens for excellent vision and maximum safety. Adjustable side clips for optimum comfort. Standard TPR universal mouth piece, caged purge valve for quick and effective clearing, sliding strap clip and wave guard. For under 150cm in height. Bought this for my grandsons birthday, he is over the moon with it. 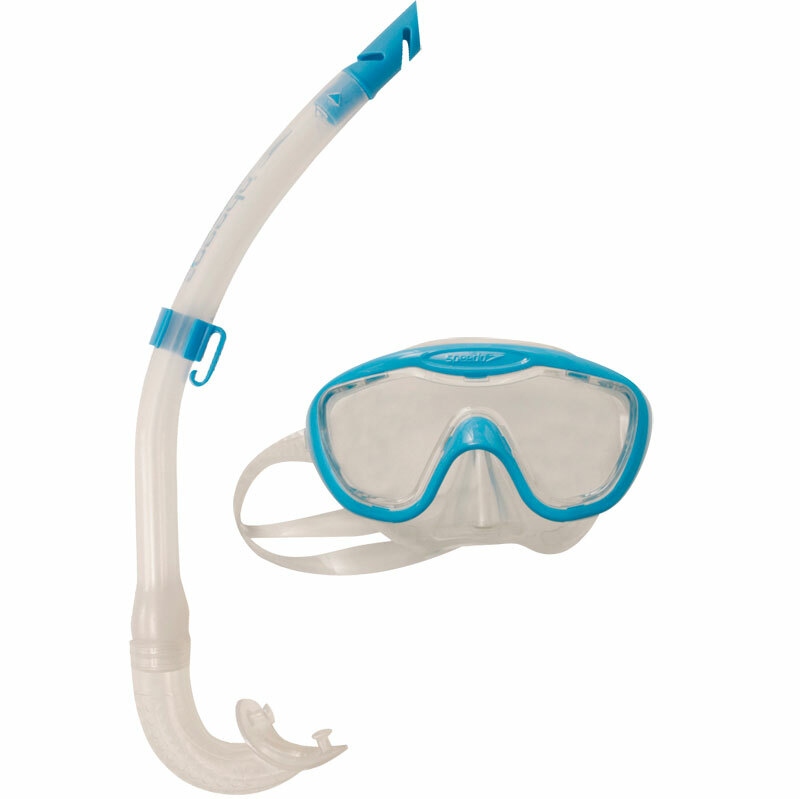 speedo being a well known make the quality is of a high standard as expected. Very quick delivery.